Eraser Software (included on the hard drive). 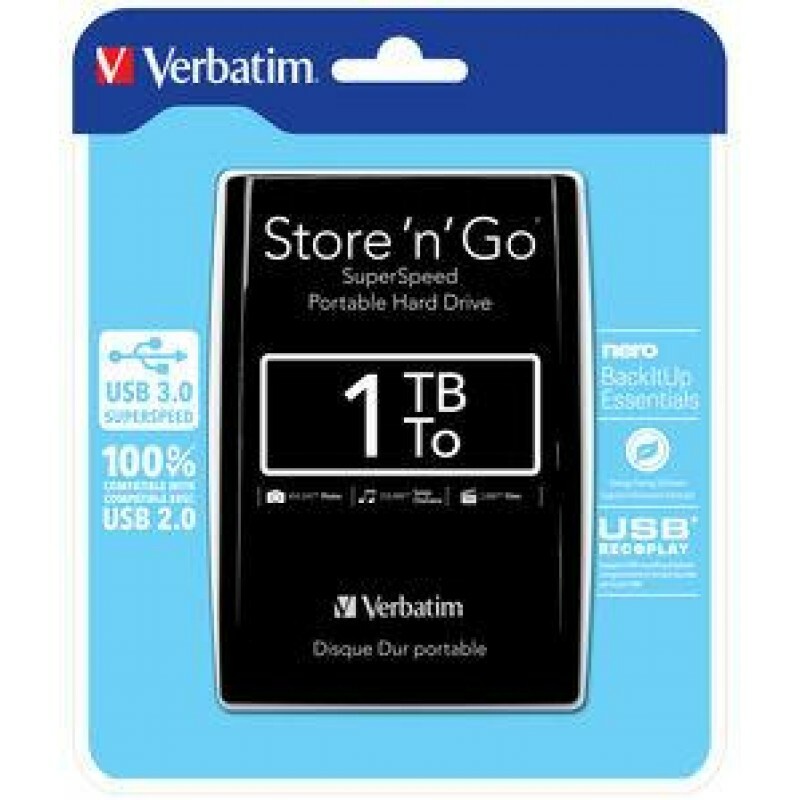 For added security Nero BackItUp Essentials software is provided to help back up your laptop or PCs hard drive. BackItUp Essentials provides an application to back up all your files, folders, and drives whenever you want, or schedule the auto back up to a set time for added security. Nero BackItUp Essentials Software is compatible with Windows XP, Vista, Windows 7 and Windows 10 (not compatible with Mac OS). 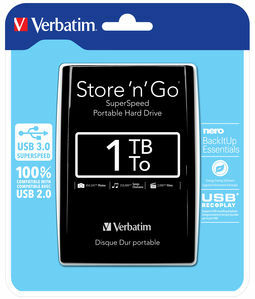 Verbatim Store n Go Portable Hard Drives also comes with Green Button energy saving software. Green Button software suspends the hard drive from spinning while not in use increasing efficiency and saving energy.